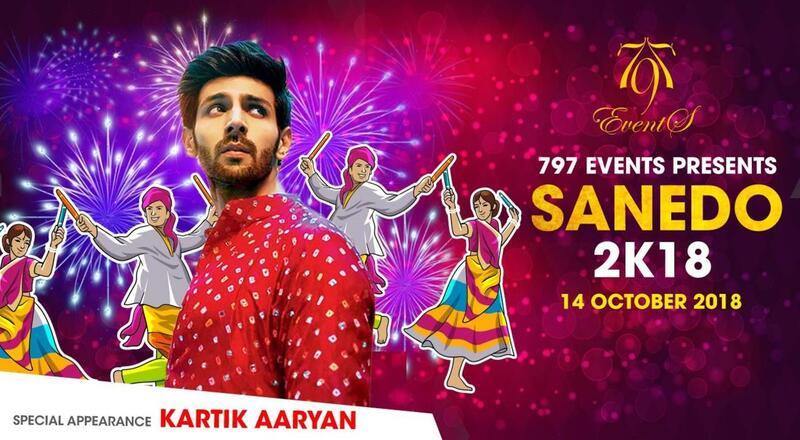 Witness the most awaited Navratri event this season with the most charming and fresh face of Bollywood, Kartik Aaryan. Kartik Aaryan is an Indian actor who appears in Hindi films. He is known for his work in several buddy films, including Pyaar Ka Punchnama (2011), Pyaar Ka Punchnama 2 (2015), and Sonu Ke Titu Ki Sweety (2018), all of which were directed by Luv Ranjan and co-starred Nushrat Bharucha.